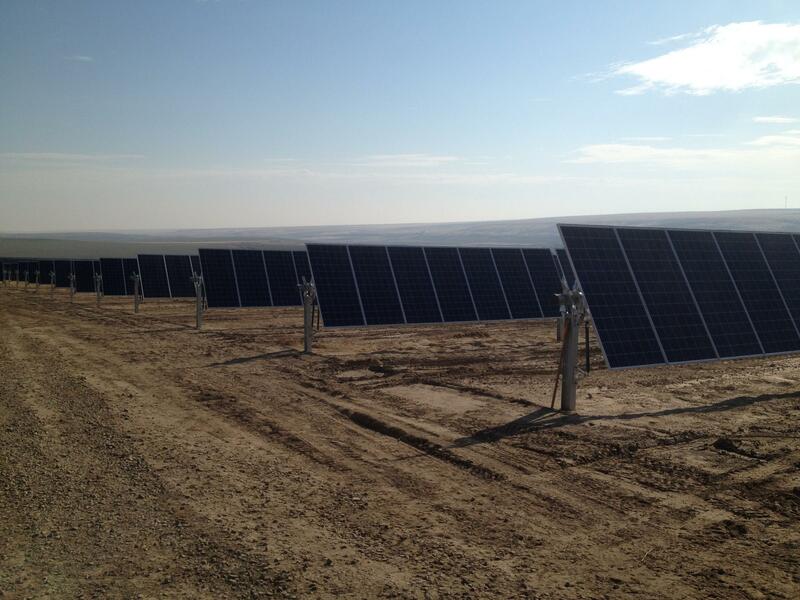 Avista's solar farm near Lind, Washington went online in the fall of 2018. Climate change and ways to combat it were in the spotlight of a Washington state Senate hearing today [Thursday]. People from a wide variety of interest groups testified on a bill that sets timetables for moving the state to so-called “clean energy” sources. Governor Jay Inslee requested the bill and 17 Democrats have co-sponsored it. The bill’s prime sponsor, Sen. Reuven Carlyle (D-Seattle), frames this bill as an essential element in pushing Washington toward a future based on wind, solar and hydropower. The bill would require the state completely remove coal from its electricity grid by 2025. It sets emissions goals that would discourage the building of new natural gas-fired plants. And it would set a 2045 deadline for the state to move its entire electric grid to renewable energy sources. At Thursday’s hearing, the measure received support on several levels. First, for its environmental thrust, from government officials who have implemented climate regulations in their localities and from representatives of environmental groups. Clifford Traisman from Washington Conservation Voters argued this bill is only one piece of needed to reverse the effects of climate change. The bill received a thumbs up from labor representatives such as Neil Hartman from the Washington Building and Construction Trades Council. Their members are optimistic about the potential for tens of thousands of good-paying jobs. “We think that some measure of labor standards language that would promote the use of Washington construction workers in the development of these facilities that would be used to meet the 100% clean goals would allow us to create that just transition component that has been discussed for some years now,” Hartman said. Representatives from utilities are wary about how the changes mandated by the bill would affect their operations. John Rothlin, representing Avista, said the utility would work with the sponsors to make it a policy that works for his company. It’s worth noting that Avista supported a city of Spokane measure that sets emissions goals. But the company worried that about its ability to meet a goal for a 100% clean electricity grid as mandated by this bill. Other utilities expressed the same concern. One other provision mentioned often: The bill extends by 10 years a sales tax exemption for companies that buy equipment needed to manufacture large renewable energy projects. Allison Arnold from Solar Installers of Washington asked that also be applicable to companies building smaller projects. “After all, it is small-scale solar that constitutes more than three-quarters of the solar capacity in our state today," Arnold said. The main sponsor, Sen. Reuven Carlyle, hopes to move the bill quickly. He says he’ll take suggestions for changes and tweak the bill by Tuesday. He’ll release an amended version then and look to move out of committee by next Thursday.